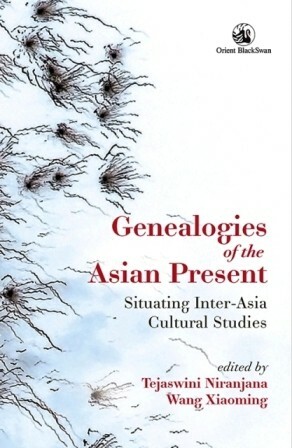 Genealogies of the Asian Present showcases the conceptual framework of the Inter-Asia Cultural Studies (IACS) project by consolidating insights from past thinkers, marking the continuity of concerns and their relationship to critical modern knowledge, and creating the pre-conditions for research in Inter-Asia cultural matters. There is also an archive section in the volume which contains foundational texts from specific national contexts. The contemporary essays which demonstrate new ways of asking the culture question from a number of different Asian locations are presented in six sections: The Question of Knowledge; The Question of Culture; Nationalism and Modernity; Culture and Economy; Gender and Culture; and, Understanding Popular Cultural Practice. With its focus on methodology, and given the paucity of anthologies on Asia, this volume expects to fill a major lacuna. The essays cover China, Hong Kong, India, Indonesia, Japan, Pakistan, Singapore, South Korea and Taiwan, while addressing a broader Asian and international context. Tejaswini Niranjana is Senior Fellow, Centre for the Study of Culture and Society, Bengaluru. Wang Xiaoming is Professor of Cultural Studies at Shanghai University.